Bell Peppers are excellent sources of vitamins C and A–antioxidants that neutralize free radicals, thus helping to reduce the risk of heart disease, some cancers including prostate and cervical cancer. Peppers may help preserve eyesight and also protect against cataracts and macular degeneration, and to alleviate symptoms of arthritis and asthma. 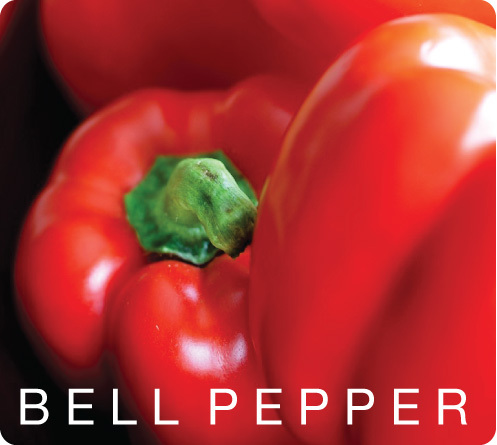 Bell Peppers also contain vitamin B6, folic acid, and fiber–all of which can help reduce risk of heart disease including heart attack and stroke.